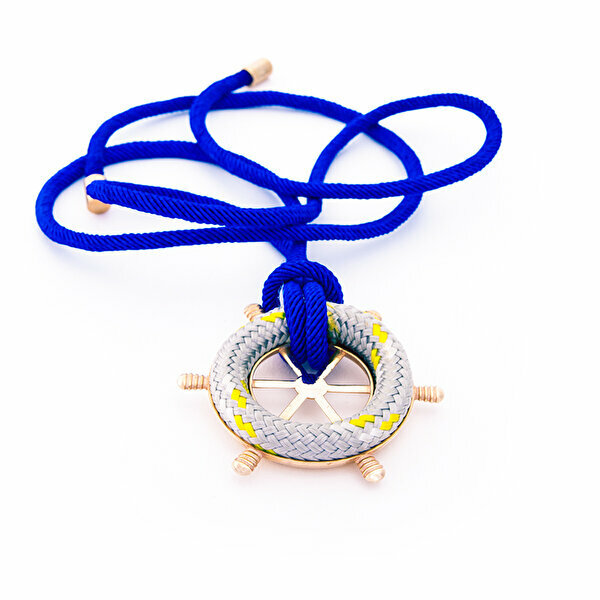 AnemosS Sailor's Rudder Necklace Product Deatail Material: Metal parts are bronze. Dimensions: Necklace Length 50 cm. Main Part Rudder's diameter 6,5 cm Grey-Yellow Rope On It. It is used by knotting with required length * Contacting with moisture cream, parfume, alcohol, bleach, etc. must be avoided.